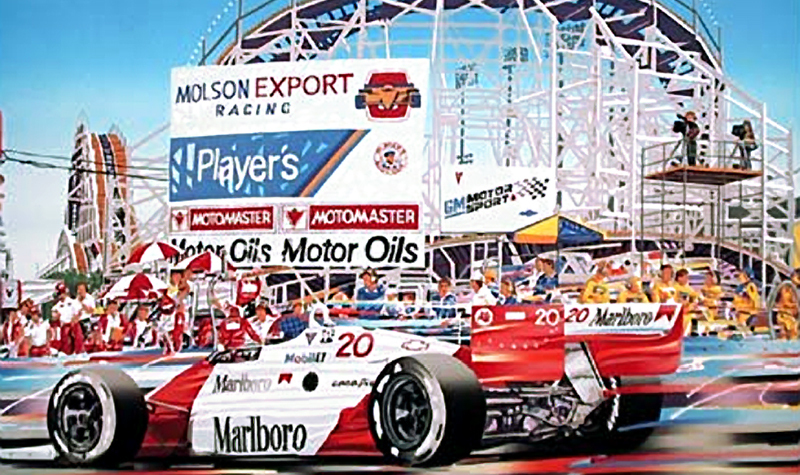 I’ve been a fan of motorsport art by Randy Owens for quite some time. His dramatic use of color to show speed is a great quality; it’s difficult to convey speed on paper, yet Owens’ great swashes of vivid color do just the trick. This technique works equally well for Indy, F1, sports cars and bikes. 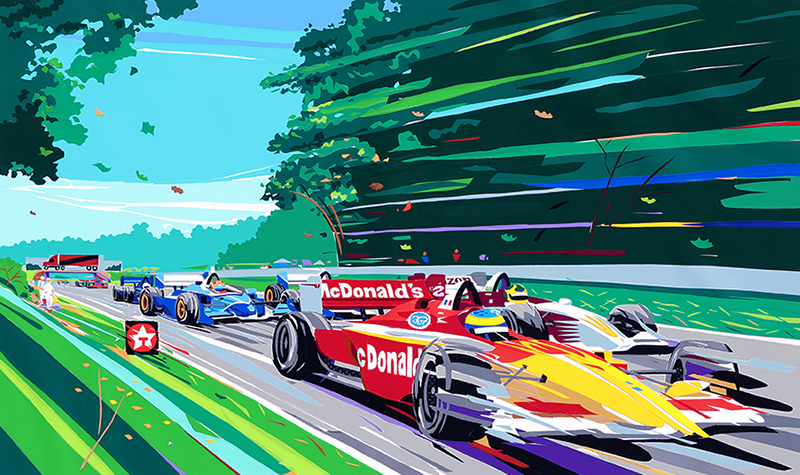 Other times, Owens realistically captures the atmosphere and beauty of a race while imparting that wonderful use of color. 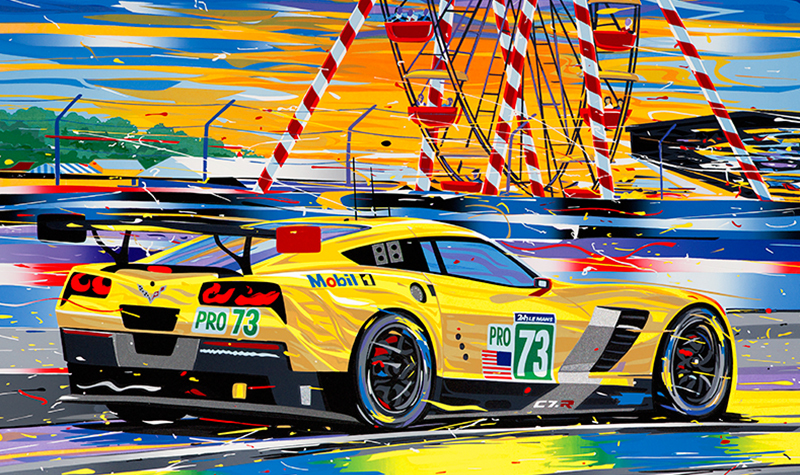 The first piece I acquired of Mr. Owens’ was LeMans, the 8th Hour (below). Conceived in 1981, it might very well have been a tribute to Steve McQueen’s movie LeMans. 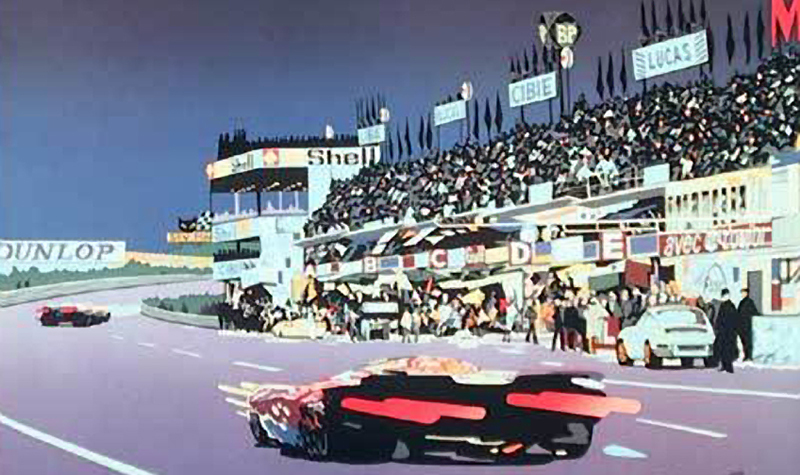 The old, open pits with a view to the fast, sweeping Turn One is epic in itself, a Porsche 917 sweeping by. A simpler artwork, it uses beautiful blues and purples to depict that wonderful part of the event when day morphs into night, when the race and the party that is this event come into their own. 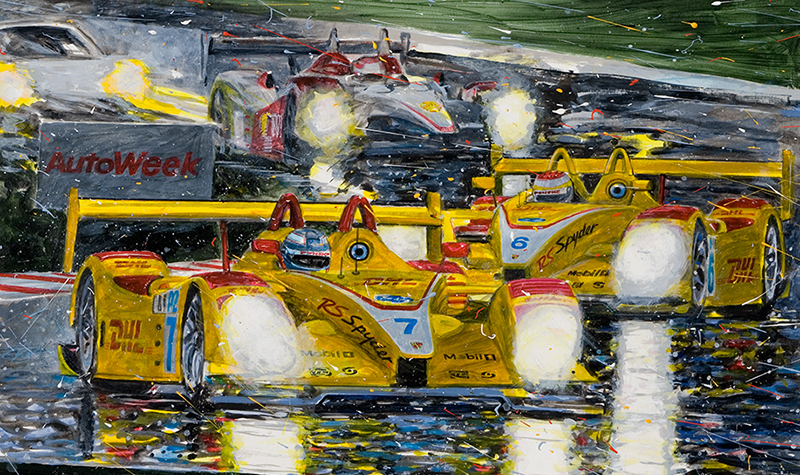 This piece is one of the very affordable, frame-worthy posters Owens offers on his website, just one of many pieces that do justice to sportscars and LeMans in particular. 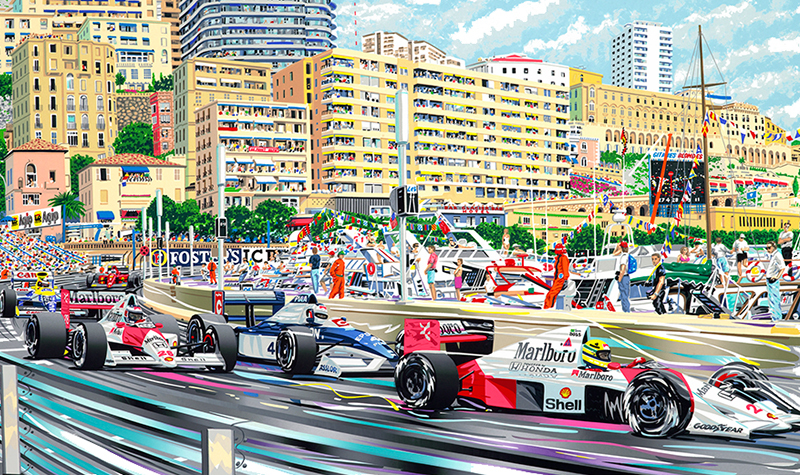 From my perspective, his Formula One art towers over all others, capturing the essence and speed of the Monaco GP (below) or Watkins Glen (Andretti Champion, below), for instance. 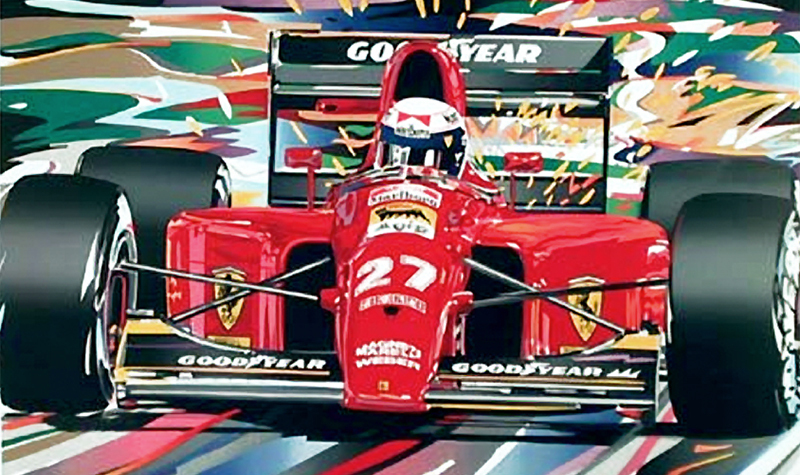 The sparking, turning in Ferrari of Alain Prost (Prost, Ferrari, below) is right there for me as well. 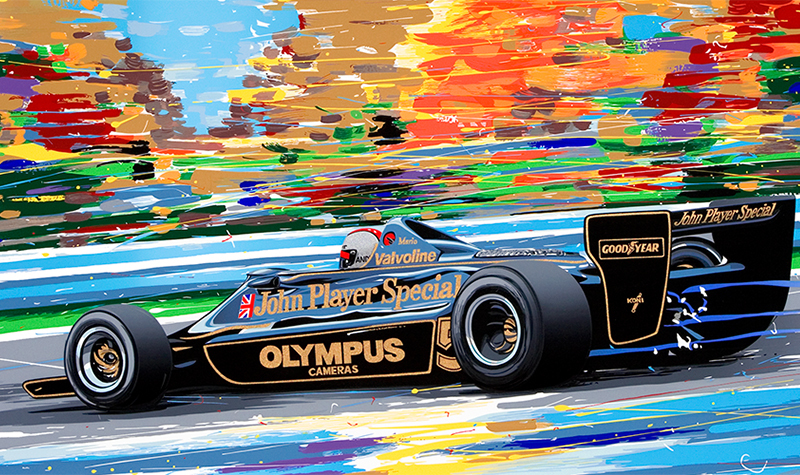 You say you love Indy cars and the past era of CART as much as myself. Look no further. 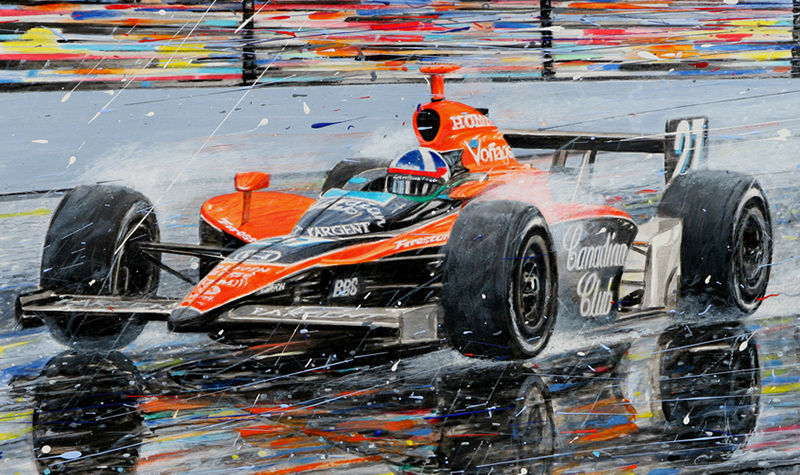 If you remember the rain-drenched end to the 2007 Indy 500, Franchitti (below) will work for you. Speed is depicted in spades in Road America Wind Tunnel (below). Dan Wheldon Way- St. Petersburg (top), appears atmospherically similar to Monaco and pays tribute to the fallen 2-time Indy winner. 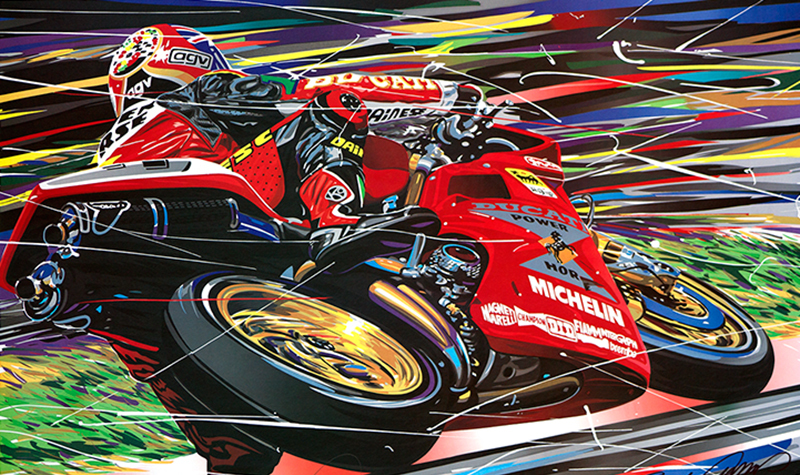 Check out the motorcycle pieces too; his sailboat artworks are terrific as well. Mr. Owens displays his wares at many major races, such as Watkins Glen, Indy, Long Beach and Sebring.